One of the dictums often spoken at Children’s Hospital and Medical Center is that “pediatric patients are not just small adults.” Children come with a whole different set of needs — from a lack of standard dosing to communication challenges — that must be factored in when implementing IT systems. These considerations are taking a front seat as Children’s migrates to a new EHR platform. In this interview, George Reynolds, MD, talks about the work his organization is doing to connect with affiliated physicians as well as other health systems, and the decision support system that’s being rolled out to improve patient care. He also talks about managing the dual roles of CIO and CMIO, the benefits of having clinician experience under his belt, the importance of IT rounding and appointing physician champions, and why networking is more critical now than ever before. Our original plan, had they started the program earlier, would have been to attest for Meaningful Use next year or late this year using our existing Legacy Eclipsys system, for which we do qualify. But given the state’s delay, we’ll probably go ahead and do it post go-live with the Epic system. We certainly have not factored those dollars into our budget in any way, which isn’t to say we’re not going to aggressively pursue them. It’s just that given the level of uncertainty as to when and how in the State of Nebraska these things are going to take place, we’ve just decided the better part of valor is to proceed cautiously. We’re going to move forward to make sure everything we’re doing is structured to support SNOMED and ICD-10. It doesn’t pay to get all excited about this stuff because it’s going to change again, and so you just have to have a game plan and stick to it. This is not a model that I would recommend for anybody. The only reason I think it works to the extent it does is that we’re a relatively small organization with a single hospital. I’d been here for 15 years; I know most of the players, and even then, it really is a significant challenge to balance both of those. Gamble: In terms of clinical decision support, I saw that your organization signed on with Isabel Healthcare for a diagnostic decision support and clinical knowledge. Is this something that you would get more use of out of because you have the affiliation with the medical schools? Reynolds: Yeah, Isabel is a part of a much larger decision support picture, but it’s a wonderful tool specific to diagnostic decision support. We have a number of other elements that once you figured out what’s wrong with the patient, what’s the best practice to treat the patient — Isabel provides some of that through its connection with British Medical Journal applications. But its real power, and the reason we decided to go with that application, was it’s fairly unique in that if you’re not sure what you’re dealing with, or if you’re a medical student or you’re a resident, you put in a series of symptoms with as specificity as you can, and it gives you a differential diagnosis which is really kind of cool. But as I said, decision support ranges from dose range of advice and dose range warnings to order set content. It’s important not just what’s in the order set, but what you specifically exclude. Don’t offer people choices that are not best practice; that are not advised. We don’t block people from going out and finding them among their own, but we try to make it easy for people to do the right thing and make it hard for people to do the wrong thing. That’s our overarching decision support philosophy. We’ve developed a number of interactive dashboards that essentially, in near real-time, allow us to demonstrate to our clinicians, ‘this is the alert that’s firing or this is the practice that’s being followed — is this correct? Should we change the limit? Should we refine it? Should we build a new rule?’ And we can very quickly see what the impact of any changes we make in our decision support environment would be using those tools. Gamble: As we talked about before when you have as many as four to eight data points for medications and so many different rules with the pediatric populations, I’m sure that it’s essential to have this kind of clinical decision support system in place. Reynolds: Yes, absolutely, and to continue refining it. The question of when will be ever going to be done is never, which I guess is job security, right? Gamble: Yeah, that’s one way of looking at it. Now as far as some of the other major projects, how are you positioned for Meaningful Use Stage 1? Reynolds: Well as a Children’s Hospital, we obviously will be qualifying under the Medicaid rules rather than the Medicare rules, so our first-year adoption will be the adopt, implement, and upgrade option, just because it’s the path of least resistance, to be honest with you. The State of Nebraska has not yet started its program. It’s indicated it might start accepting application in May, and we’re ready to go with that obviously. Our original plan, had they started the program earlier, would have been to attest for Meaningful Use next year or late this year using our existing Legacy Eclipsys system, for which we do qualify for Meaningful Use. But given the state’s delay, we’ll probably go ahead and do it post go-live with the Epic system. And obviously on the ambulatory side we’ve been Epic since 2006, so that will be our go-forward strategy. Gamble: When you’re dealing with different delays on the state level and obviously there are delays on the national level with ICD-10, in some ways I guess it gives you more time. But it other ways, does it get you off-track a little bit with trying to prioritize for these projects? Reynolds: I suppose a little bit, but our game plan with Meaningful Use has been to treat this as conservatively as possible. We certainly have not factored those dollars into our budget in any way, which isn’t to say we’re not going to aggressively pursue them. It’s just that given the level of uncertainty as to when and how in the State of Nebraska these things are going to take place, we’ve just decided the better part of valor is to proceed cautiously. But we were doing this before the legislation passed and we are going to do it anyway. Yes, it changed some of our focus a bit, I suppose, but in general our goal is an integrated medical record across the continuum of care that improves the quality of care for the children we serve and their families. If that’s where you’re starting, then you have to use the application in a meaningful fashion in order to get those benefits. So this uncertainty has caused us to churn and spend some time doing some things that we otherwise might not have done. 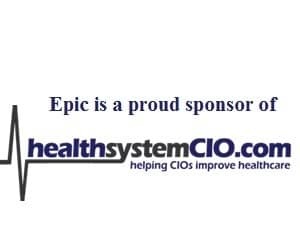 We actually self-certified a hospital quality metrics dashboard with our Eclipsys product which, had we known the timing in Nebraska, we wouldn’t have done otherwise. So there is some waste, which is unfortunate, but in general it hasn’t really changed our philosophy. And the same goes for ICD-10. We’ve been planning for the past year, and if we’ve got a little extra time, I guess that’s fine. But in the meantime, we’re going to move forward to make sure everything we’re doing is structured to support SNOMED and ICD-10. It doesn’t pay to get all excited about this stuff because it’s going to change again, and so you just have to have a game plan and stick to it. Gamble: Absolutely, and like you said, your goal is going to remain the same whether or not the deadlines change. You’re seeing the overall picture. Gamble: So one of the things I find really interesting about you is that you have both the CIO and the CMIO roles. You were hired as CMIO, correct? And then a couple of years later, you took on the CIO role — how did that come about? Reynolds: I’d love to tell you it was a conscious career path that I set myself on, but that just wouldn’t be the truth. I’ve been here now for about 15 years. I started as the director of the pediatric ICU here at Children’s. I actually was the first fellowship-trained intensivist in the state, and built that from being the only guy to a 14-person team. That team staffs both the pediatric ICU at Nebraska Medical Center and at Children’s. I got into the CMIO role kind of gradually from our own database and data coming out of the ICU to a desire to get a better handle on quality metrics and quality of care data that we had in the system. So I started kind of the outside pushing saying, ‘We need more; we need better,’ and found myself pushing hard enough that I wound up in the inside, first as a quarter-time CMIO, then as a half-time CMIO, and then as a three-quarter-time CMIO. About two years ago, my CIO who I have a wonderful working relationship with decided to she was going to move on to greener pastures. And the truth of the story is I was on call on the ICU — we do 24/7 call, and I got up in the morning and dictated my notes and went home and cleaned up and came back and hosted the CIO’s going-away party. I went back home, got a call from the CFO at 3 p.m. in the afternoon, and he asked if I could come in, and at 4 p.m., I was the new CIO. So it wasn’t exactly a planned career move on my part. Gamble: Right. So how has it been? I’m sure there have to be a lot of challenges in balancing both of those roles. Gamble: How had you been able to do that? Reynolds: This is not a model that I would recommend for anybody trying to replicate it. The only reason I think it works to the extent it does work is that we’re a relatively small organization with a single hospital. I’d been here for 15 years; I know most of the players, and even then, it really is a significant challenge to balance both of those. With the Epic project we brought on three part-time physician champions to support the project, because it just wouldn’t be even be possible without that support. If this were a commercial it would say, ‘Stunt driver on test track; don’t try this at home.’ It really is a unique situation. Reynolds: There are several physicians who are CIOs and I think that’s a terrific model and a terrific role. You really do come at it with an understanding of the outcome in mind as opposed to the process in mind, which I think is really where we need to be to achieve what we are trying to achieve — an integrated EMR for all of our patients. On the other hand, trying to do both, I think, is in some ways a little crazy. But on the other hand, it’s a lot of fun and it really down cut down on the disagreements between the CIO and the CMIO, or at least it makes it a lot quieter.